Winter break is coming to an end for my boy. Although I worked more than I wanted to while he was home, I loved him and kissed him and laughed along with him as much as I could. 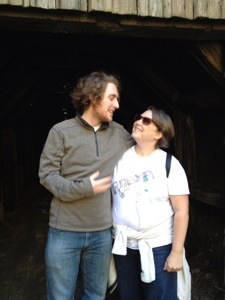 We all enjoyed a day down in Big Sur last week. 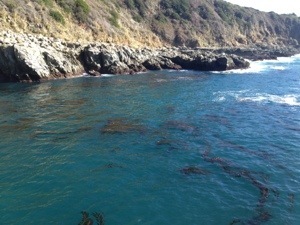 As a child my family would go down to Big Sur and it would be cold, dreary and gray. The last two times we visited the sky was blue and clear! 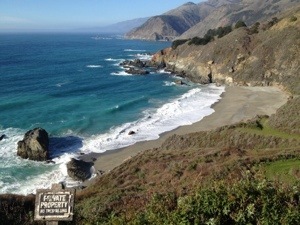 The weather could not have been any better for a winter day in Big Sur! The link above is great if you were ever planning a trip to Big Sur. If you are a rock hound, naturally occurring jade is all over the coast. 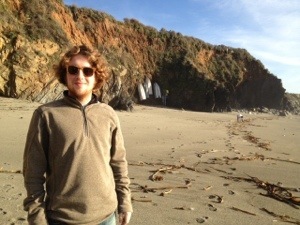 It’s fun to sift through and find the beautiful hues of green jade on the beaches in Big Sur! Because I knew we were going to be out all day, I planned ahead by putting a pork loin into the slow cooker for BBQ sammies when we returned home. I used a 2-3 lb pork loin or shoulder, low fat. Add into slow cooker on top of onions. Pour 1 cup Coca Cola and 1 cup orange juice onto the pork. Add 3 T BBQ sauce to slow cooker. Set slow cooker on low for 8 hours. When time is up, take out and shred with more BBQ sauce. 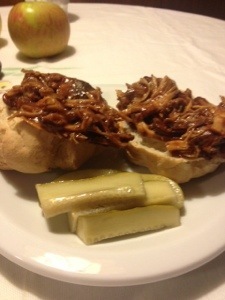 So I piled the pork high with a few homemade pickles I canned last summer. So yummy! This entry was posted in Food, My Home and tagged BBQ Pork, Big Sur, California, Slow Cooker on January 15, 2013 by amybailey aka knitsakes. Were you just with your son ? ?